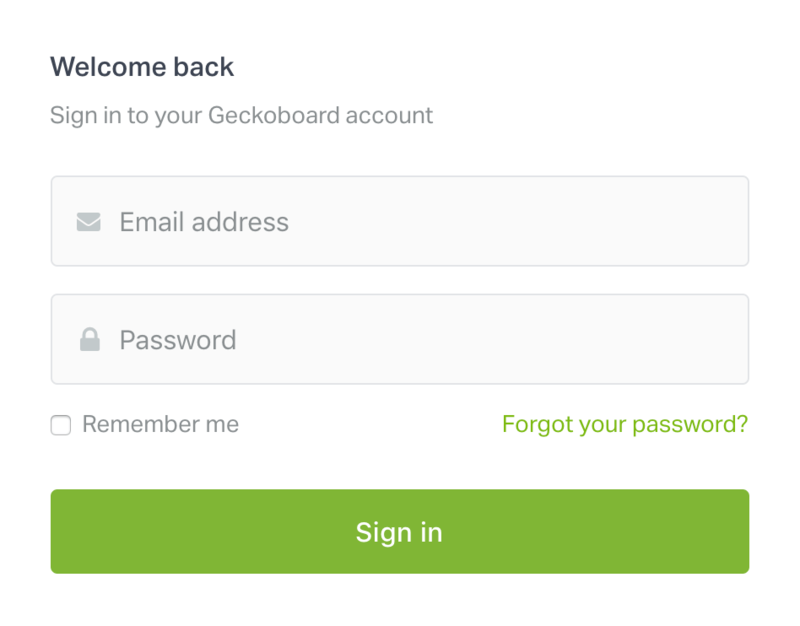 If you’ve forgotten your Geckoboard password, you can easily reset it at any time. Your chosen password must be at least 6 characters long. Below the Password field, click Forgot your password? On the next page, enter your Email address. Make sure it's the same one you used to sign up for Geckoboard! Check your email inbox for a new message from Geckoboard. 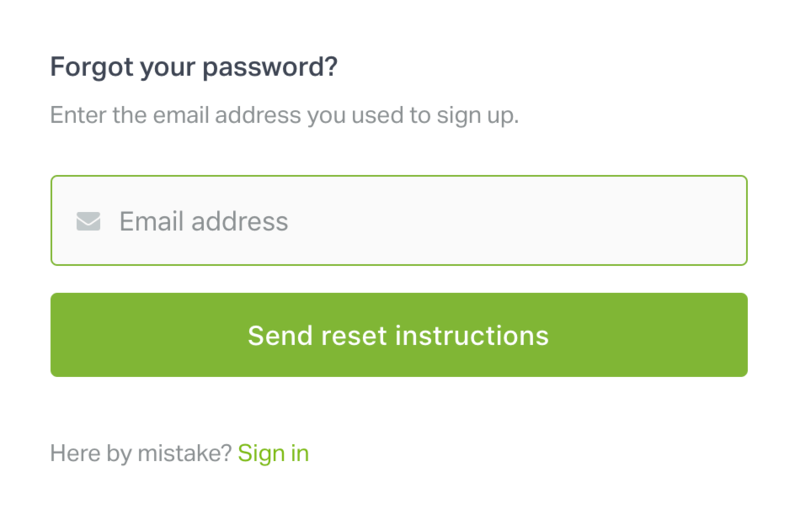 In the password reset email, click Reset Your Password. Enter your new password twice to confirm, then click Change Password. If you don't have access to the email associated with your account, get in touch. From the drop-down, select Account. 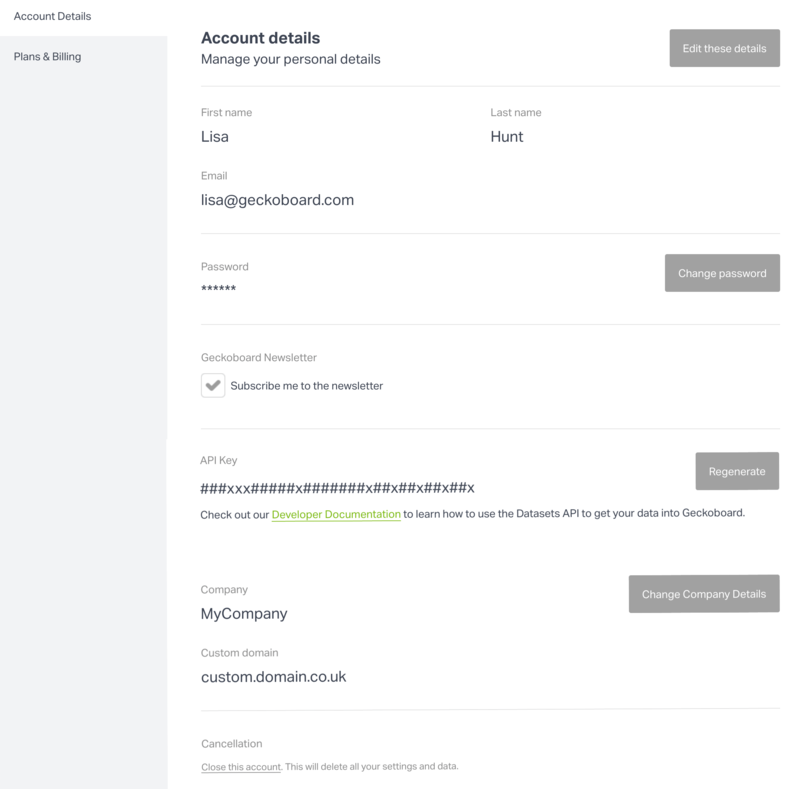 This will open up the Account details screen. Beside Password, click Change password. Enter your new password twice to confirm, then click Save password.